8. Stain removal using the latest EMS Airflow® technology. This approach is gentle but highly effective at targeting areas traditional cleaning methods can struggle to reach and ensuring thorough stain removal to brighten your smile. 9. Intensive stain removal using the latest EMS Airflow® technology and range of EMS Powders. This approach is gentle but highly effective at targeting areas traditional cleaning methods can struggle to reach and ensuring thorough stain removal to brighten your smile. 7. Biofilm and Stain removal using the latest EMS Airflow® technology. This approach is gentle but highly effective at targeting areas traditional cleaning methods can struggle to reach and ensuring thorough stain removal to brighten your smile. EMS Air-Flow® treatments are highly beneficial for those who are living with orthodontic braces and brackets or are considering getting them in the near future. Our hygienist is able to use the EMS Air-Flow® method to clean and polish your teeth to a high standard without damaging your appliance or having to remove brackets; something traditional methods fail to do efficiently. So when you complete your orthodontic treatment you’ll be left with a beautifully straight and clean smile. It is not uncommon to suffer with bad-breath or halitosis although many are unaware that it can be treated. 90% of halitosis cases are caused by a buildup of bacteria in the areas of the mouth that are often missed when brushing. 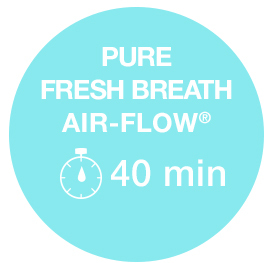 In these cases the EMS Air-Flow® system can banish the bad breath in a matter of minutes. 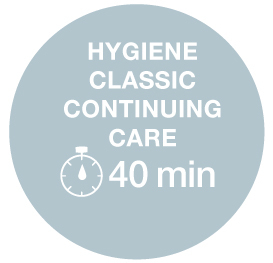 We’ve put together a package, using the revolutionary EMS Air-Flow® system,with a focus on tongue cleaning, that will focus completely on removing this small issue to leave you with a fresh breath. Moving forward we’ll be able to advise you as to how you can keep your breath smelling fresh whilst keeping gum disease at bay. If you are considering orthodontic braces or are currently undergoing orthodontic treatment oral hygiene is of paramount importance. EMS Air-Flow® treatment is highly effective as it allows the hygienist to clean and polish your teeth to a high standard without damaging your appliance or having to remove brackets; something traditional methods fail to do effectively. So when you complete your orthodontic treatment you’ll be left with a beautifully straight and clean smile. Dental implants now replace teeth for many patients. 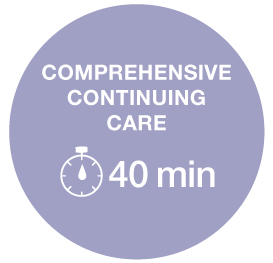 Meticulous homecare, regular examination and professional maintenance is key to ensuring the health of the implant tissues is maintained and problems are identified and treated quickly. The team of hygienists and therapists at Pure Periodontics are highly skilled in providing implant maintenance, following the latest protocols and evidence based research. 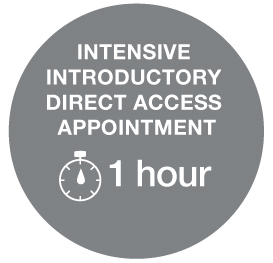 To find out more about Direct Hygiene Appointments, EMS Air-Flow® or to book your appointment please call us on 020 7247 7400 to speak our friendly team or fill out our contact form. *Introductory prices are on a limited time offer.